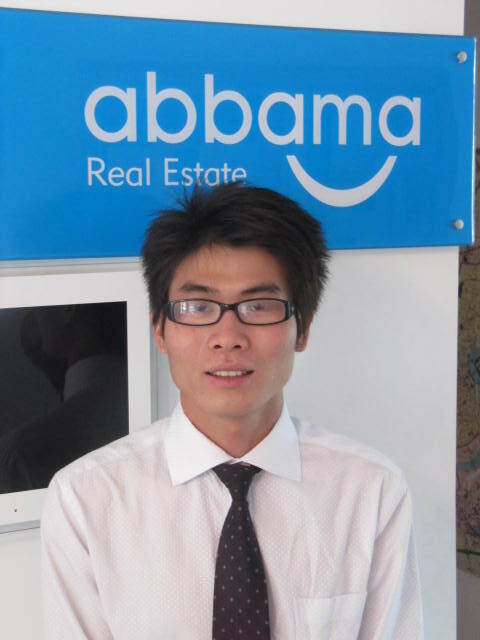 What after-sales service should I expect from Abbama Real Estate? Generally, if there are any repair and maintenance issues, you will first call the property management office to seek help. However, if you don’t speak Chinese or if the management office fails to solve the problem, our property consultant will coordinate in between the landlord and the management office to help you solve the problem. We will always be there to help you throughout your lease term. A quick good way to solve the problem is to send your property consultant detailed email with pictures and description of how a facility is “not working” together with the Brand Name and specification number, for example: A Siemens fridge, KK<?xml:namespace prefix = st1 ns = "urn:schemas-microsoft-com:office:smarttags" />22F57TI. How do I pay my utilities (such as water, gas & electricity) and phone/internet? Upon check-in, the landlord will hand you pre-charged cards for water, gas and electricity, your property consultant will explain to you how to use them. Water: For cold water, you would pay the bill at the ATM, for hot water and toilet water, some compounds use pre-charged cards, the others you can pay upon receiving the bill from the property management office. This will all be explained at your check-in. Gas: Charge the card at the Beijing Bank or the property management office. For some compounds, you have to go to the specified bank to charge the card. Electricity: Use the ATM or go to the property management office to charge the card. Phone/Internet: You would pay at the Telecommunication Bureau or nearby banks after the 10th of each month. In some compounds, it can be paid at the property management office. Again, these will all be explained in detail upon check-in for your particular property. Do I need to register with the local police station upon move-in? Yes, police registration is one of the first things you need to do after moving into the leased property. You would bring the lease contract, your passport, a copy of the landlord’s ID and a copy of the landlord's ownership certificate to the local police station to register, some police stations will also require a proving paper from your compound management office. The whole process should take no more than 20 minutes. Abbama Real Estate will assist you to find the place and how to complete it. What is the move-in procedure? Your property consultant will prepare a “Check-in Record” which contains an inventory list of furniture and appliances/facilities. The property consultant, you and the landlord will go over the property to check if everything is on the list. We would suggest you put into writing on this record any defect in the property upon move-in, such as cracks, spots, and other damage. The property management staff will help to check the utility meters and instruct how to set up the utilities. In the end, the landlord will hand you the key and the “Check-in Record” will be signed by you, the landlord and your property consultant. It is better to test the TV signal, internet, phone, main appliances, lights and door keys before you sign the record. If there are any outstanding issues, write them down and your property consultant will coordinate with your landlord to assist you in solving them. What are the things that I need to do or I can ask the landlord to do before I move in? A thorough cleaning would be necessary. Ask the landlord to double check all the electrical appliances, phone line/internet set up, make sure they are all in working condition. Generally speaking, all requirements should be clearly written in the lease contract as required by law to protect both tenant and landlord in case of dispute. We strongly advise never to rely on verbal agreements made with the landlord as these will be difficult to defend in the event of a dispute. The team at Abbama Real Estate provides this information as a recommendation only. I Replacing or buying new furniture: If the property is unfurnished or you would like to change existing furniture you will need to consult your agent to negotiate with the landlord. The market practice is for the landlord to provide an amount that will be considered a furniture allowance and with this you can go with an agent to buy the items you need with the landlord’s prior permission. Please be aware that all detailed arrangements of how to purchase furniture and budget allowance should be included in the leasing agreement prior to signing. Ownership will belong to the landlord and in cases of damage caused by carelessness or neglect the tenant will be liable to compensate the landlord under the terms of the agreement. Make sure you retain tax invoices of your purchases, which will be requested by landlord. II Lease term: If the agent negotiates a very good deal for you we recommend asking the agent to sign a lease for an extended period of time with a break clause (early termination without penalty clause). For example, if you plan to live in the property for 1-2 years then the lease shall be for two years in which case the first year is fixed and the second year is optional. During the optional period, you are allowed to move out without any penalty by giving the landlord written notice two months prior to your move. This is a good way to prevent a potential rent increase when the landlord renews the lease with you. III Damage and compensation: You are not allowed to drill holes in walls or fix mirrors unless you have the landlord’s express written confirmation and permission. Also, do not redecorate or change the wall color without the landlord’s prior permission. Otherwise, you may be asked for the fee to reverse the work and any problems caused as a result. IV Rental: Rental terms usually include property management fee, taxes, etc. Maintenance or repair fees for electrical appliances shall be paid by the landlord as long as the damage is not caused by tenant’s improper use. Small maintenance expenses, for example changing a light bulb, shall be at the tenant’s expense. Garden maintenance fees shall be negotiated separately with the landlord. V Club membership: Onsite club membership is not integrated into renting and needs to be negotiated with the landlord. Generally, a family membership of any clubhouse admits only two adults and two children under 14 to enter. If you have more family members interested in joining it will cost extra and this additional cost may be negotiated with the landlord before the lease is signed. However, some newer compounds will include the clubhouse fee in rent. Except for some serviced apartments or hotels, rental doesn’t include utility fees which should be paid separately. Be aware that some facilities in certain clubs, such as tennis or the swimming pool, are provided to members requesting extra usage fee. VI Pest control: Pest control is requested by a number of expats even though it is not standard practice in China. The service fee will need to be negotiated before the leasing contract is signed. VII Pets: Many compounds don’t allow tenants to adopt or bring pets, especially dogs, cats, etc. Please confirm with your agent or landlord before any adoption. VIII Backup plan: Once you find a satisfactory home, a quick decision will help you secure your home. We recommend you have several backup options since competition from other customers may influence the landlord’s decision and it will help the agent get a good deal for you. What is a Fapiao and why do I need it? A Fapiao is a tax receipt for funds paid. The use of Fapiaos in <?xml:namespace prefix = st1 ns = "urn:schemas-microsoft-com:office:smarttags" />China is a means for the tax authorities to ensure that value added tax (VAT) on a transaction has been paid. In many countries, the payee for goods or services issues a receipt to the payer and is responsible for declaring the VAT. In China the tax receipt, a Fapiao, must be issued by the tax authorities. It is either pre-paid and printed at the tax bureau, or printed by the payee on offical Fapiao paper using a system that's linked on-line to the tax authorities. To comply with accounting rules, your employer needs a Fapiao for all rent payments made. The Fapiao should state the names of the payer and payee, and also note that the payment is for rent. The VAT for rent payments is currently 5%. Same size, but why is the rent different? Good quality renovations at the property. Better furnishings and fittings. The individual landlord's rent expectation. In <?xml:namespace prefix = st1 ns = "urn:schemas-microsoft-com:office:smarttags" />Shanghai, some landlord's are keener to get early rental income than others. Most Shanghai property developments are built in phases. A property at a new phase is typically better than an older one and sold at a higher price. So, rent at the newer property is higher. For expat houses, corner properties with larger gardens rent for more. For expat apartments, properties on higher floors rent for more. An apartment with a view and Sunnier south-facing units. Good views command higher rents, but if the property faces another tower or building site, it's not worth it. The rent is paid in RMB by bank transfer to the landlord's account. The rent is paid in RMB currency. For corporate property leases, your company will do this for you. For private leases, we will show you how to make the monthly bank transfer. Rents are sometimes quoted in USD but landlords expect that the agreement specifies that payment is made in RMB, usually at a fixed exchange rate. Landlords rarely accept foreign currency payments, even if paid off-shore. Note that only foreign currency, but not RMB, can be transferred from abroad into <?xml:namespace prefix = st1 ns = "urn:schemas-microsoft-com:office:smarttags" />China. A two month security deposit is the normal in <?xml:namespace prefix = st1 ns = "urn:schemas-microsoft-com:office:smarttags" />Shanghai. Typically you pay one months' rent on signing the Tenancy Agreement. The landlord may also ask for the full security deposit on signing if there are substantial custom renovations, or if there's a significant lag time between signing the tenancy agreement and the lease commencement date. Currently there is a strong trend that corporate clients are using Bank Guarantee Letter as security deposit instead of paying cash deposit. Some landlords will accept this depending on who the corporate client is, while other landlords will not. Your property consultant will work with you to obtain the best terms possible.